Luckily the people at C&T Publishing were fabulous and let me drag the process out a little bit longer. 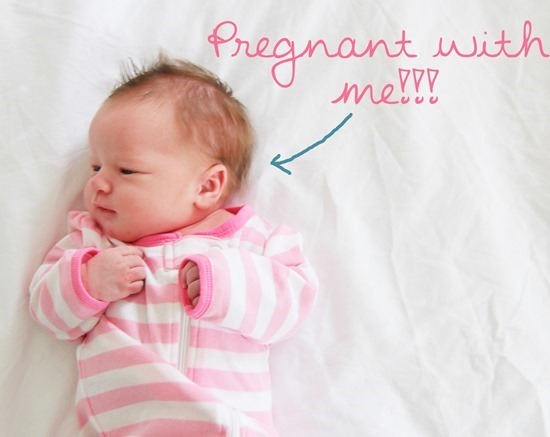 I’m convinced that the best time to write a book is while pregnant…that pregnancy flew by! All of the projects in the book are beginner friendly, simple, and usable. I wanted a quilting newbie to be able to pick it up the book and make anything from it. The hardest part for me in the whole process was the photography. I had initially said no-way to taking the photographs myself…because I knew it would be hard. But after some convincing I gave it a go. In hindsight I learned a lot, and I’m glad I did it…even though there were many tears shed during the process (like when I took 100 pictures in the wrong format!). By the end of taking pictures I was bribing my kids left and right. They probably had sugar highs for a month after all the treats I gave them. Luckily they were very patient with me (and very easily bribed). A Mom’s gotta do what a Mom’s gotta do. There are 14 quilt projects + one pillow project + one quillow (a quilt that folds into a pillow!). 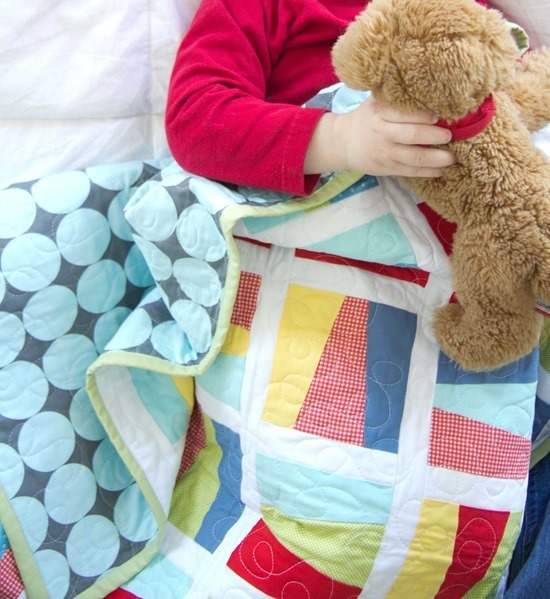 7 of the quilt projects come with multiple size options so you can make them in a baby, crib, or twin size. All of the projects can be made in a weekend…or a day if you’re a crazy-pregnant-sleep-deprived-mom hopped up on M&M’s and Sugar Babies. I have to give a big huge thank you to the people at C&T Publishing and Stash Books. They are an amazing team with amazing editors and designers who made the process go smoothly. The book is available on amazon…and also might be at your local quilt shop! You can see another book post with more project photos here. Congrats! It looks like a beautiful book. I can't wait to get my hands on it! Congratulations, Allison! What an accomplishment! Everything looks adorable (as usual)! Can't wait to get my hands on a copy of your book. It looks amazing. I was excited to get my pre ordered copy yesterday then I got an email from Amazon (UK) saying they hadn't received them from the supplier yet so I'll now only get it towards the end of the month. Aargh!! Congratulations! Your photography is beautiful, esp the little girl against the hot pink wall. Lovely! I did get kind of sweaty just looking at the baby on the changing table, but I am going to assume there was a hand *right there*, just cropped out. :) And the quilt is wonderful! It looks like a must have book! Love your beautiful quilts. I've just bought the car fabric in the last photo (it's called Toot Toot! )so perhaps I REALLY need to buy the book to go with it?! Congrats! It looks like a great book! Kuddos for doing all the photography…that is a big job! Please tell me you sent out the quilts to be made by others at least!?! Love your work! Congratulations Allison! I'll be hopping over to Amazon to pick up a copy. Thanks for making the projects suitable for beginners! I love so many of your patterns for that very reason. And your instructions and illustrations are clear & easy to understand. Yep Jenny there was a husband there ready to pounce if she got near the edge of that changing table! ;) I worried someone might think I left her there! I have a few of your patterns and love them. The new book is quite an accomplishment. Guess my quilting book library is going to grow again! You did fantastic with the pictures!! Your wee ones are so adorable!!! Great job!!! And the quilts look just fantastic!! Congrats Allison!! Congratulations!! The quilts look fabulous!! I love the colors. What great photos and wonderful quilts! Am going to order the book now! Love it! My niece is new to quilting and loves modern quilts. Sounds like a great present for her. And, your photos are gorgeous! Congratulations! I see a lot of quilts I need to make! Congratulations – it looks a fab book. 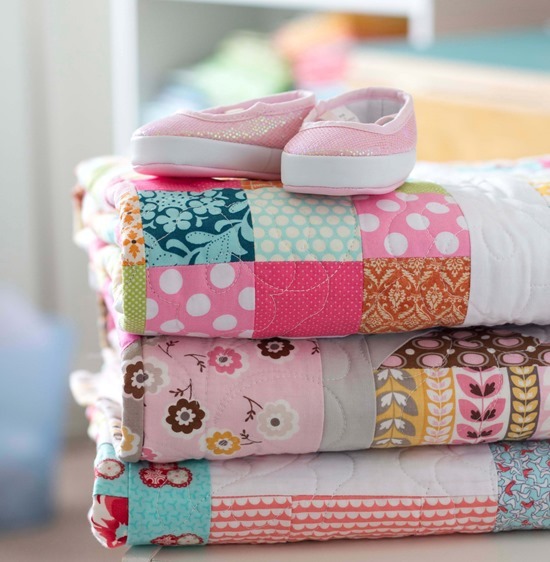 I love the giant log cabin quilt in the changing table photo. I need to make a quilt for my baby girl and this one is shouting out to be made :) Can't wait to get my hands on your book! Well a hearty congratulations to you on both the book and the beautiful baby! All those quilts are gorgeous and all your photos are just stunning! I'm sure it helped to have such good looking models to go with your good looking quilts! Boy! A talented quilter, pattern maker, new fabric designer, and now an author too (not to mention a momma of three little ones). You are one talented lady. Congratulations!! Congratulations on your book. Love the Lego Quilt and the Log cabin best. I allready ordered your book last week with Book Depository in Great Britain! I could not wait till my holidays in July when we are going to USA again! Congratulations Allison! It looks wonderful. I can't wait to see it! 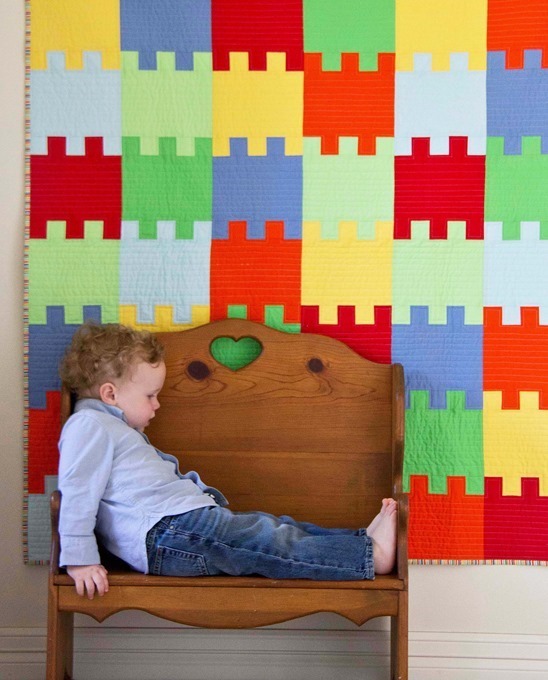 Your quilts are almost as beautiful as your children…lovely photos! Congratulations, Allison! The book looks beautiful! What a lovely book, clever Allison! Congratulations! Congratulations! I can't wait to get the book. I found my first sewing project on your site just a few months ago, the spoke pillow. I made two, one for each of my daughters. The instructions were wonderful and i know this book will be awesome. I love the preview pics. I'll have to put it on my wish list. Congratulations! This book looks wonderful. I can't wait to see it in person. Beautiful post, beautiful children and what looks like a beautiful book. I have always found your tutorials easy to follow, and I am instructionally impaired! Take a bow, no really, TAKE A BOW! We just got your book into the shop where I work (Quilter's Way). I honestly think its the best baby/kids quilting book I've seen in ages! Good work! How exciting. Congrats on your book. 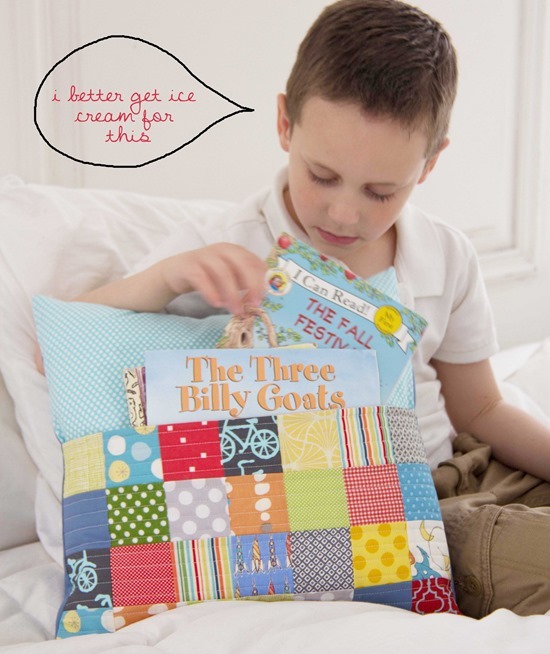 Tbe quilts look cute as do the kids! Congrats! This looks like an awesome book. I'm off to check out book depository! Congratulations! Will definitely check with my local quilt shop to see if they're carrying your book. Your photography is amazing! Beautiful book, children and photography!! Congratulations! I can't wait to get my hands on this book. I'm very impressed with the photos you took-beautiful work! Seeing pics of your daughter make me sooooo miss that baby stage (my daughter was born a few days before yours), but I have to say, isn't this age they're at now just so.darn.cute!!! Love it! Can't wait to get it and start my next project!!! Woohoo!!! Congrats on the amazing book…I bought it last week as an E-Book and love it!!!! Yeah! That's what I'm talking about! :o) Great job Allison! Congratulations! 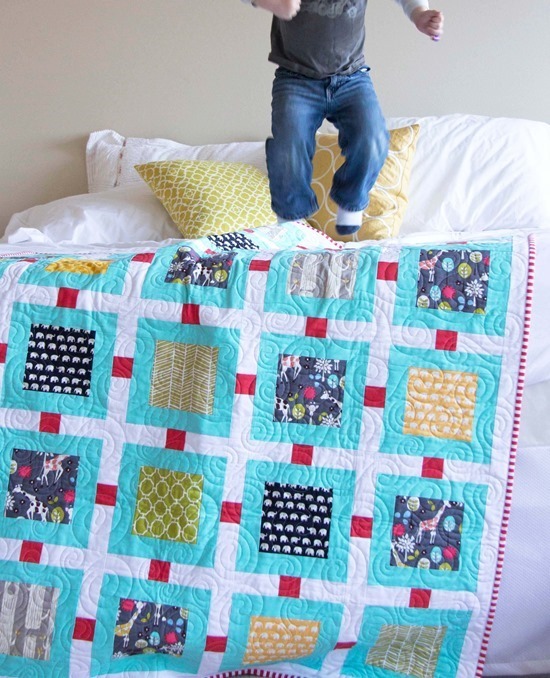 Love your photos of your quilts and children. They are beautiful! Very nice pictures and lovely blog. I follow your blog. Great quilts you made. Proficiat on making the book ! Congratulations! I love reading news like this. And your kids are adorable. You did great taking photos. Lovely and fun looking quilts: need the book now!! (Darn you!!)LOL! Congratulations for making a fantastic book! 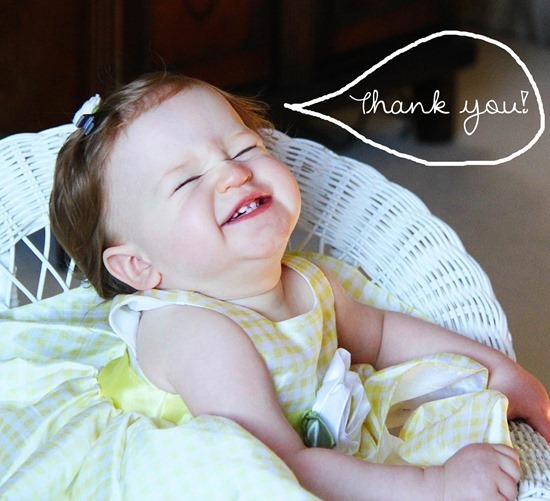 Your photos are beautiful, fun and adorable! Congratulations on this wonderful book! Congratulations Allison. All of the quilts and pillow are beautiful. Congratulations on your book and your beautiful children. I think the photos look great and the kids were great models. You have a beautiful family and good luck on your new book. Congrats on the book! The photos look amazing. I would have thought they were done professionally. Congrats! I love the rainbow log cabin quilt! Your photos are fantastic! What a wonderful achievement (amazing that you did it while pregnant and beyond!). I look forward to getting my hands on your book! The book looks great. Congratulations. You did great. It looks like a beautiful book. You have beautiful children- I especially love your ice cream balloon caption over the picture of you Congratulations on the book. I can't wait to get my hands on this book! I am expecting my first child in August and this book will be the perfect inspiration to get busy sewing! I'd get this book just for the pictures of the kids!!!! They are so cute. Your book looks amazing and congrats on the awesome photos too! Looks like a great book to add to my quilt library and love that you included different sizes for some of the quilts! I know I'm number 76 but I HAVE to have this book it looks just totally awesome. And your picture taking is awesome. Congratulations Allison!! The book looks amazing. I ordered it straight away!! Your kids did a wonderful job! Hurray! Congrats Allison! I'm so happy for you and me lol! I can't wait to get my hands on a copy of your book! Wonderful! You gave birth to two babies. Congrats. Congratulations! 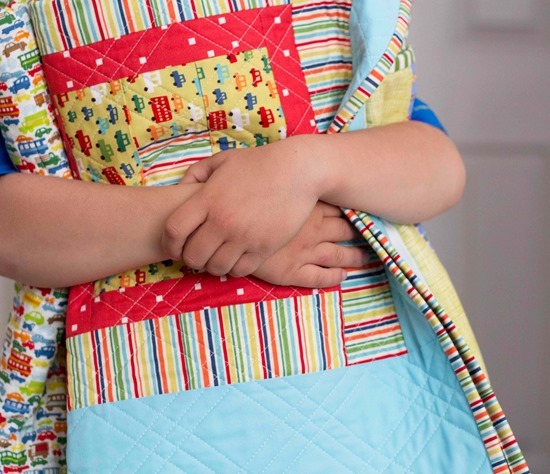 I love the rainbow log cabin quilt and great job on the photos. completely full of sweetness! Congratulations! And the photos – very professionally done! Can't wait to get my fingers on it! You sold me! Looks like a great gift idea for my daughter, but I gotta have my own copy too! Congratulations! And I think the sugar highs were totally worth the simply adorable pictures! Congrats. What a very special memory for your children to be a part of such a project done by their mom. The photos are amazing. Congratulations! I will be getting your book for sure! I love the ones you showed in your post. What a fabulous looking book, Allison! Congratulations!! And if your blog pictures are any indication, you did an impressive job with the picture-taking!! Congratulation! I can't wait to see the book! I love your style and photos looks amazing!!! I love your work and am now so excited to get so many wonderful projects in print form. Many congrats! but arrrrgh amazon.ca doesn't have it yet. You are truly a 'girl friday'! It looks to me like you can do it all. Mommy, photographer, writer, quilter and everything else that you do. CONGRATS!!! It looks lovely….I'm thinking that maybe some photography tutorials for taking pictures of quilts should be added to your arsenal ??? another book on my always growing list. I think I'll have to purchase it soon. Congratulations. I bought your book as soon as it came out. I loved all of the beautiful pictures and quilts you had chosen for the book. Great Job and Congrats! The photos are great! I'll definitely pick up your book after seeing these. Congratulations! congratulations! 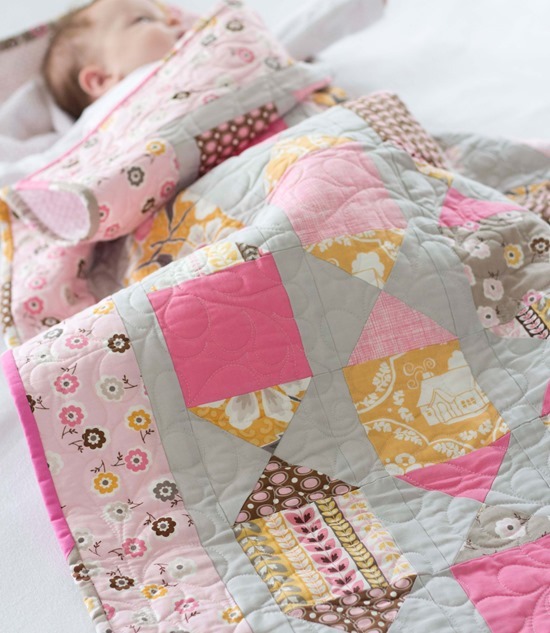 The quilts (and your kids) look beautiful! Congratulations on your book! The projects are superb, and the pictures are FAB!!! What a great accomplishment! Congratulations! I'll be picking up this book soon! I love everything about this post! The quilts, babies and book! Congratulations! It looks just beautiful!! I think I found out I was pregnant nearly the same day as signing my last contract too. We are two insane peas in a pod. You did a great job with the photography and I can already tell I need that pillow/book holder project on my to-do list! Looks amazing will definitely be buying this one! Congrats! I am anxiously awaiting the arrival of this book! You do amazing work. Thought I was going to have to wait weeks for this ( I'm in the uk) but yah for kindle, got it in an instant. Gorgeous book, can't wait to get started. I have bought the kindle version as soon as it became available. Now making the raw edge circle quilt and loving it! all the projects are just so much fun! I preordered mine from Amazon back in April and was so excited to get it but it hasn't shipped yet. Boo to them! I can't wait to get my hands on it, it looks so beautiful from your little sneak peak! The quilts are beautiful. Your kids are beautiful. Your photos are beautiful. Great job! This looks like a keeper, can't wait to check it out next time I'm at my LQS. Congratulations! 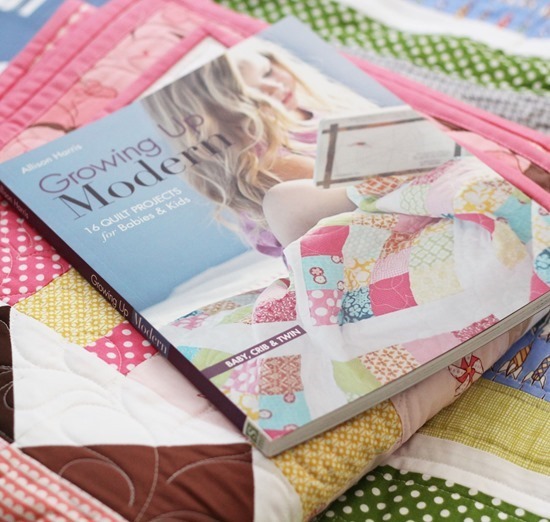 Wow – always love your quilts so I'm excited about a whole book of them. My youngest is 5mths today so it's perfect timing he "needs" a new quilt (he has 4) but I've got some new fabric !!! The post has just arrived with your wonderful book filled with inspirations for quilts I may never have time to sleep again!!!! Highly recommend pre release purchase from Amazon..pretty good timing to get here to Sydney Australia I think!!! Congratulations! It looks like a brilliant book and the photography is top notch! Well done!!! I received your book for Mother's Day and it is beautiful! I am so excited to make some quilts! I had put your book on my wishlist and my daughter got it for me for Mother's Day. I love it. I'm in the middle of the stacks quilt and there are some other projects I want to make from it. Thanks! I saw your book at the library – it was so wonderfully done that I just purchased a copy for myself. Thank you very much for such fabulous modern and fresh ideas. Oh how fun! I’m so glad you like it and thank you! !